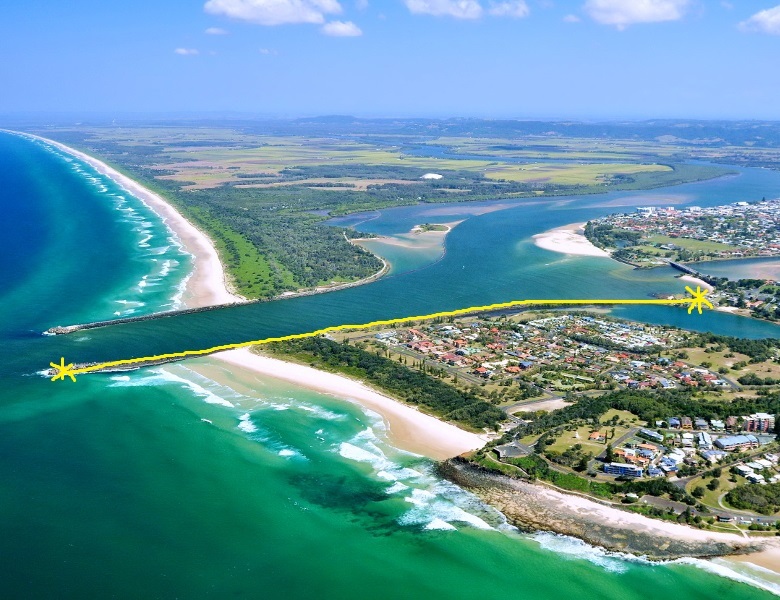 With Shaws Bay on one side and the Richmond River on the other, this easy walk will allow you to enjoy some of Ballina's most beautiful assets. Park at Brighton Street and follow the footpath heading out along the breakwall. Meander past little bays and rockpools, take in the tidal Shaws Bay, watch the trawlers leave or return in the Richmond River and finish by watching the surfers at Lighthouse Beach. Keep an eye out for birdlife and quite possibly dolphins in the river between the breakwalls - a local sight that is very common!